Property Status:	Occupied. Not Available. Pets Allowed:	Yes, with additional deposit. Building:	3 bed/2 bath. 1,858 sq. ft. house. 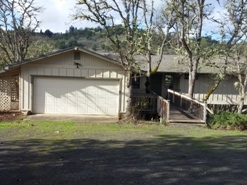 Features:	House on the North Umpqua River. Well out of the floodplain. Comments:	Beautiful setting. River access. Sandy beach. 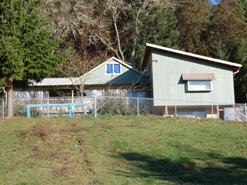 Property/Acreage:	5 acres plus shared hillside area. Building:	4 bed/2 bath, 2,540 sq. ft. house. Features:	Some pasture. Pond. Very private setting. Comments:	One of two houses on property. 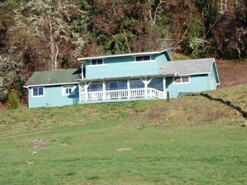 Property/Acreage:	7 acres plus shared area. 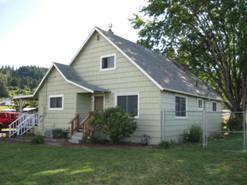 Building:	3 bed/2 bath, 1,456 sq. ft. house. Features:	Two story house. Small front and back deck. Pellet stove. Comments:	Private setting overlooking the valley. Building:	4 bed/2 bath, 1,716 sq. ft. house. Features:	Single level house. Large back yard. 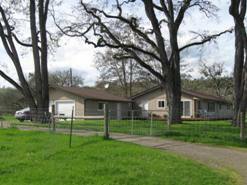 Property/Acreage:	City Lot, 6,100 sq. ft.
Building:	3 bed/2.5 bath, 1,654 sq. ft. house. Features:	2-car garage. 2-story house. Large back yard. Comments:	Sprinkler system, fenced yard, high end features in home. 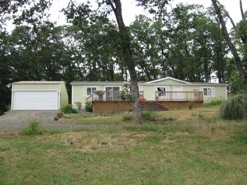 Property/Acreage:	2.5 acres plus an additional 2.5 acres. Building:	3 bed/2 bath, 1,676 sq. ft. house. 2-car detached garage. Features:	Well kept DWMH in a private setting. Comments:	Horses and/or livestock are allowed. 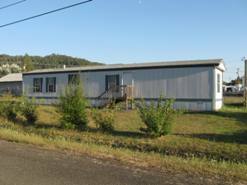 Property/Acreage:	Small homestead with yard. 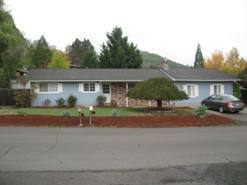 Building:	3 bed/2 bath with office, 1,966sq. ft. house. 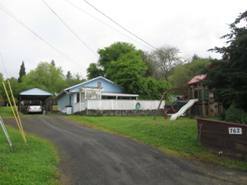 Features:	House on the North Umpqua River on a working ranch. Comments:	Beautiful setting. River access. Irrigation for landscape/garden. All surrounding acreage is part of ranch. No livestock or horses. Building:	4 bed/3 bath, 2,464 sq. ft. house. Features:	Split level, two story house. 2-car garage. Large deck. Fireplaces on both levels. Comments:	Private setting among the trees. 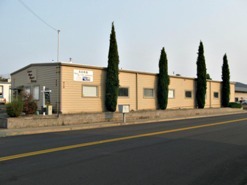 Building:	8 offices, large conference room with sink, ADA bathroom. Approx. 2,400 sq. ft. Features:	On- and off-street parking. Comments:	Shared building with one other occupant. 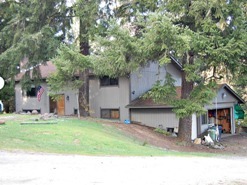 Building:	3 bed/2 bath, 1,456 sq. ft. house. 2-car attached garage. 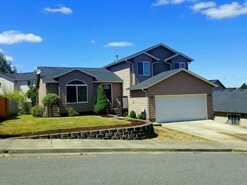 Features:	Well kept property in quiet subdivision. Fenced back yard. Comments:	Low maintenance landscaping in front and backyard. 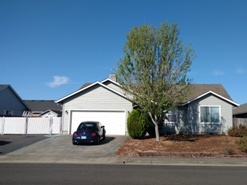 Building:	4 bed/2 bath, 1,744 sq. ft. house with bonus room. 1-car detached garage. Features:	Large, fenced backyard. Room for a garden. Building:	3 bed/2 bath house. 924 sq.ft. Features:	2003 SWMH with yard. Comments:	Very clean house with all appliances included. Rent includes sewer. Building:	3 bed/2 bath house. 1080 sq.ft. Features:	1996 DWMH with yard. Comments:	Very clean house with all appliances included. No other houses in sight. Building:	2 bed/1 bath house. 810 sq. ft. Features:	Cozy house with small front and back yard. On dead end road. Comments:	Very clean house with all appliances included. Sewer included in rent. 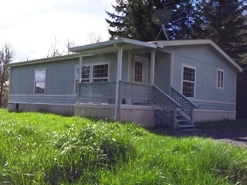 Building:	3 bed/1 bath, 918 sq. ft. house. Comments:	All appliances included. Sewer included in rent. 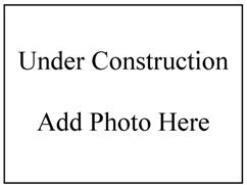 Building:	2 bed/1 bath, ??? sq. ft. apartment. Building:	3 bed/2 bath, #### sq. ft. house. Features:	2 story house. Large back yard. 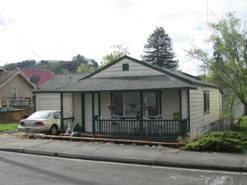 Rental properties are a "two-way street". Here's how it goes when you rent something managed by Walt Gayner Real Estate. 1. The tenant takes care of the place and appreciates the opportunty to rent the property. 2. Walt Gayner Real Estate works with the tenant to keep the place nice and appreciates the tenant paying rent on time. 3. If there is an issue, it will be discussed and resolved. 4. This will only work well if it is a mutually beneficial arrangement. 5. There will always be respect between the tenant and manager. If that cannot happen, a change will be made. Being dishonest is not an acceptable quality. 6. Vacant properties don't generate income for anyone. It's best to keep things moving in a positive direction. 7. Hastily picking tenants to minimize vacancy can be costly in the long run. 8. Walt Gayner Real Estate only gets paid based on rents received so we only make money if the tenant pays rent. And the proeprty owner only makes money when rent is received. 9. This is a "win-win-win" situation or it's a "lose-lose-lose" situation. There is nothing in between.